Sean Wang is an accomplished entrepreneur, inventor, scientist and engineer. 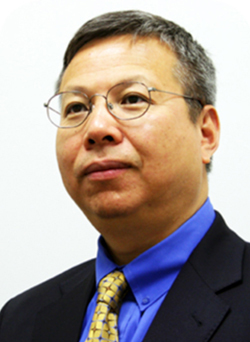 Currently, he is the CEO of B&W TEK Inc, a leading photonic instrument company producing analytical instrumentation, medical systems and lasers. Sean holds advanced degrees in Physics and Electrical Engineering and is the author of many scientific publications. He holds about 40 US and international patents, with about 20 patent applications pending in the areas of optical instruments, lasers, spectroscopic sensors, and medical devices. He is a member of OSA, SPIE and a fellow of the American Society of Laser Medicine and Surgery. Dr. Wang is the 2014 recipient of the Delaware Bio-technology Industrial Association inventor of year award. He is an adjunct professor and a member of the advisory council at the University of Delaware’s School of Engineering.